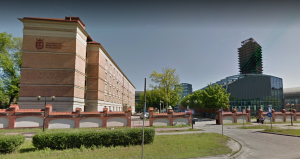 Registrations are now open for the 2nd IATEFL Poland Business English Special Interest Group (BESIG) Event which will take place at the Cracow University of Economics, Poland on 11th May 2019 in cooperation with IATEFL BESIG International. The event is aimed at business English professionals both in Poland and other European countries. Under the heading: “New Ideas and Approaches in Business English”, the event aims to provide a platform for a comprehensive overview of important aspects of business English, covering methods, materials, media and assessment. All business English stakeholders in further and higher education, e.g. educational establishments, teachers, teacher trainers, publishers and test providers, are invited to participate. Details of the programme are given here: 2nd IATEFL Poland BESIG Program. To register, just click on the following link http://bit.ly/registerBESIGPL2019 and fill in the online registration form which will give you all further details. The final date for registration is Friday, 03rd May 2019. As the number of registrations is limited to 120 people, we recommend early registration. Acceptance will be on a first come, first served basis. We look forward to seeing you in Cracow on 11th May. You may view the entire program for the event here.